Take a look inside any ‘70s recipe book and prepare to be horrified. It was a dark time for British cooking, when typical meals tended to go one of two ways: either greyish-brown meat with two veg, or an insane collection of fluorescent colours, as people ate bright pink gammon covered with luminous red glacé cherries and glowing yellow pineapple rings. Bon appétit. Despite the questionable cooking, there are one or two classic cocktails from the decade that have stood the test of time. With everything retro and vintage hugely on trend right now, here are the best ‘70s cocktails you must try. Buy one, get an era-appropriate paper umbrella to put in it, and party like it’s 1979! Most red ‘70s drinks were made with grenadine, a sickly sweet syrup that makes even the nicest drink taste like under-diluted squash. 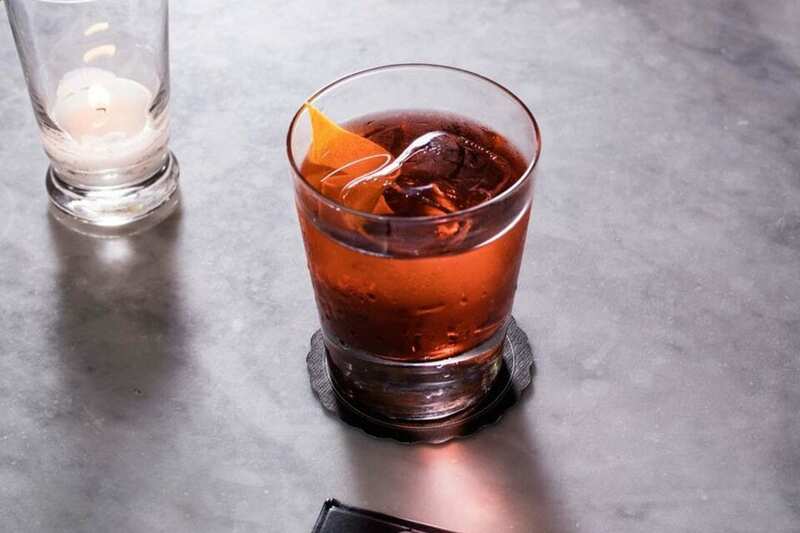 The negroni, however, gets its colour from red vermouth and Campari. Some people may find this gin-based drink too bitter, but others will find it a heavenly acquired taste with the power to instantly transport you to Italy. Cinzano brand vermouth was one of ‘70s Britain’s favourites after an advert for the brand became hugely popular, so drink with Cinzano red for an authentic taste. Another very red Italian drink that came to Britain in the ‘70s was Aperol. As travel between the UK and mainland Europe became cheaper, Italian food of all kinds came to Britain, and the Aperol Spritz (a 3-2-1 mix of Prosecco, Aperol and soda water) was the drink to accompany the new Italian dishes. Now the drink is more popular than ever, and no al fresco area of a bar is complete without people drinking Aperol Spritzes all summer long. Nothing says ‘70s cheese quite like a snowball, a very yellow mixture of Advocaat (an egg liquor), lemonade, and a touch of lime – a wedge if you’re feeling fancy, or lime cordial and a glacé cherry if you want to truly experience the ‘70s. This drink has long been considered as a joke, and yet sales have been up year-on-year ever since domestic goddess Nigella Lawson made one in her 2007 Christmas special. It may be cheesy, but it’s also cheerful! The Instagram effect has also led to the resurgence of layered drinks, where liquids of different thicknesses are poured on top of each other to create bands of colour. Some of these are fine (like the B-52, a mix of coffee liqueur, Irish cream and orange cognac) and others make us queasy (like the brain haemorrhage, peach schnapps with a brain-like ball of Baileys floating in it.) The best tasting in our opinion, however, is the classic Tequila Sunrise, with tequila and orange juice balancing out a layer of grenadine to create the colours of an Instagram staple, the #sunrise. This cocktail brings together two stalwarts of the seventies with Babycham, a perry that has made an ironic comeback among students in the last few years, and blue curaçao, combined with vodka to make a mouthwash-blue mixture. For a more citrusy twist, you can serve with pineapple juice instead of Babycham. Though this cocktail now enjoys ironic immortality thanks to it being the drink of choice of The Dude in ‘The Big Lebowski’, this combo of Kahlua, vodka and cream actually had its peak twenty years before the eponymous film was released. On the subject of films, another cocktail returning to menus is the Godfather, which made its first appearance after the release of the 1972 masterpiece of the same name. It’s easy to make – just mix together scotch and amaretto and get ready to dance the night away at a disco! 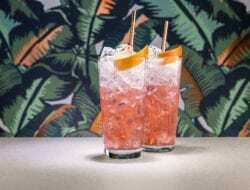 Although the original versions of many of these cocktails should stay in the seventies, innovative bars across the UK are beginning to play with the old recipes to make them more appealing to modern tastes, mixing higher quality alcohols with some of the more retro elements to make new and exciting beverages. So if you’re feeling vintage, try making your next trip to a bar a trip into the 1970s!